Books in A Traveler’s Library come in many sections–besides the travel section, we have books from fiction, mystery, memoir, history and music and movies. Today we are going into a new section–the children’s section. When I read Christine Gross-Loh’s blog about living in Japan with her children, I thought that perhaps she could share some books that helped her children understand their new country. She agreed to write a guest blog, and we are lucky to have her with us today. When my two older children were 5 and 3, we moved from New York to Japan. This is a pretty huge move to make, even for children who are somewhat familiar with the culture. (I’d traveled to Japan with them twice before). This time, they would be going to Japanese schools for the first time, and there would be many cultural differences to get used to- like the fact that Japanese elementary kids all wear hats and a special kind of backpack, walk to school on their own, eat with chopsticks, take turns serving lunch (usually fish, rice, and vegetables) to each other at lunchtime, and regularly help clean their classrooms and schools. Books are our family’s most precious resource, so when it came time for me to think of ways to prepare them for this huge change in their lives, of course, I sought out a picture book! There are some great books out there. [amazonify]0618494847::text::::I Live in Tokyo[/amazonify] by Mari Takabayashi is written from the perspective of a little Japanese girl and goes through the seasons and holidays of the year. It’s a great introduction to authentic holiday traditions and has captivating illustrations which are fascinating to children encountering Japan for the first time. I also wanted a book which would address daily life and my children’s feelings of displacement as they settled into their new country. [amazonify]0807578223::text::::The Way We Do It In Japan[/amazonify] by Geneva Cobb Iijima is a wonderful find. It’s the story of a little boy, Gregory, who moves with his family to Japan and has to learn how to adapt to Japanese ways as the new kid at school. It’s sprinkled with tidbits about life in Japan ­ readers learn about how Japanese children take their shoes off inside the house, sleep on futons on the floor, don’t have much furniture if they are living in a traditional Japanese home, and take hot Japanese-style baths every night. We read this book countless times both before and after our move. Even now, over three years later, our kids love to revisit the book and reflect on the many ways they’ve had experiences like Gregory’s, gotten past them, and thrived. While The Way We Do it In Japan is about living in Japan, it’s also ideal for children who are just visiting Japan because of its authentic, slice-of-life feel. 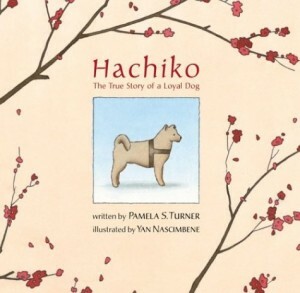 For children who are interested in a book which reflects beloved Japanese values such as loyalty and patience, one story which tugs at the heartstrings of many Japanese children is the tale of Hachiko, a real-life dog who met her master at the train station every evening to accompany him home, and continued to go and wait there for him even after he died unexpectedly at work one day. Decades later, Hachiko is now immortalized as a statue at one of Tokyo’s busiest stations, and the story of Hachiko is known to all who live here. Our children were entranced by [amazonify]0547237553::text::::Hachiko: The True Story of a Loyal Dog [/amazonify] by Pamela S. Turner because of the beautiful simple drawings, the many cultural references, and of course, the story of a faithful dog – something which transcends culture in its universal appeal to everyone. The lesson my children took away from this book was that even though we are all very different people living in different countries and cultures, at heart we all experience and are touched by stories of love and loss. See other children’s books: Africa here, Costa Rica, here, Switzerland , France, Michigan, and Rhode Island. What do you think about this new subject matter for A Traveler’s Library? Shall we continue to present books from a Children’s Section from time to time? This is a great list! The Japanese culture is so different from ours; I’m sure moving to this country was quite an adjustment. 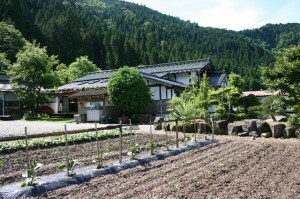 Are you familiar with the blog “Here and There Japan?” It’s another nice look (with lots of photos) at life in Japan. Thank you so much for the lovely comments on my guest post! I enjoyed having the chance to reflect on how much books have eased various transitions in our lives. Shiira, how old are the children you are thinking of? When my children are older I plan to introduce them to Japanese literature – there is so much out there, both historical and contemporary – along with nonfiction background reading. I think reading Japanese literature is a really great way to learn more about what it’s like to live in Japan. There are a lot of translated works out there – I could make specific suggestions if you tell me what your children are interested in. If you are looking for something for younger children, another book which is beloved in our house is Grandfather’s Journey by Allen Say. It’s a picture book but there is much for older children to ponder – themes of biculturalism, displacement, and so forth. Thanks for this information. I’m wondering if there are books about living in Japan for older kids/teens. Let me know if you think of any. Thanks again for the article. Haven’t read the one on Hachiko yet… This is one of my favorite true stories, and I always stop by his statue when we’re in Tokyo. Thanks for the recommendation. 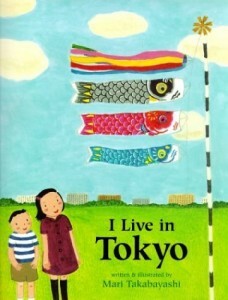 “Tokyo Friends” (http://tinyurl.com/TokyoFriends) is another book that my children have enjoyed. Note: While all Reynold’s books are good, despite cute drawings, not all are appropriate for kids. What a great way to ease culture shock for children. I can’t wait to hunt down for these books in Toronto. I’m sure that even though we do not live in Tokyo, my 2 y.o. might find something to like about it, as would I.
what a wonderful list! i also like the videos and book suggestions at little travelers. that is exciting, to share and live in a new culture with your kids.